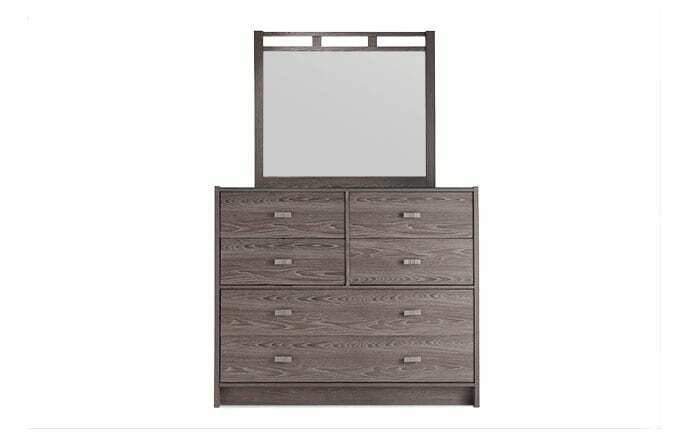 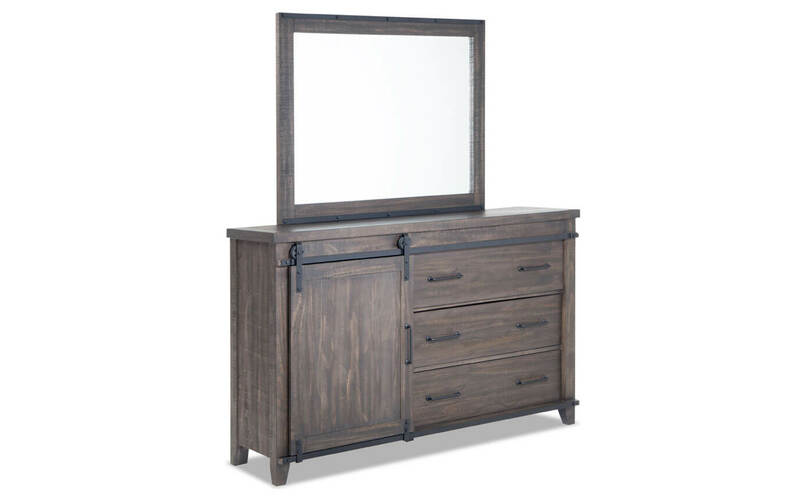 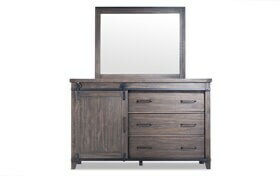 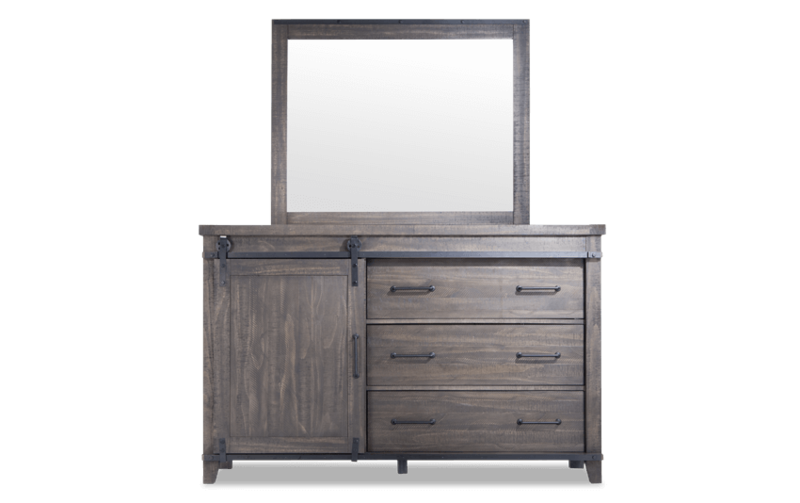 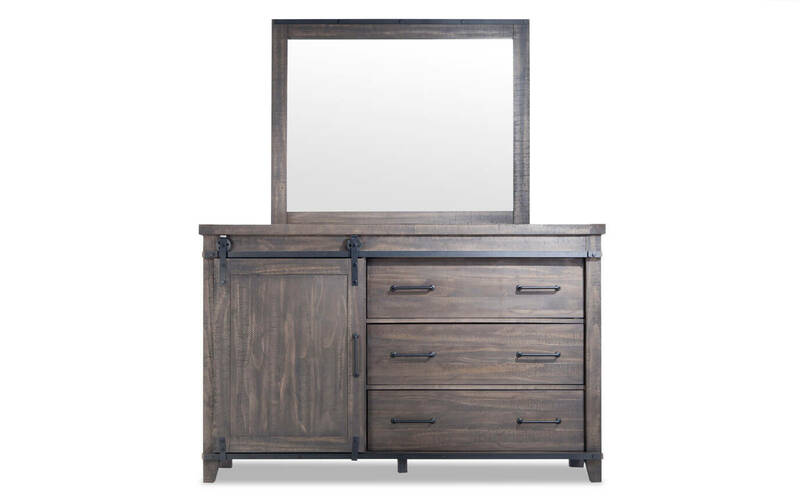 Storage is a piece of cake with my rustic Montana Dresser & Mirror! 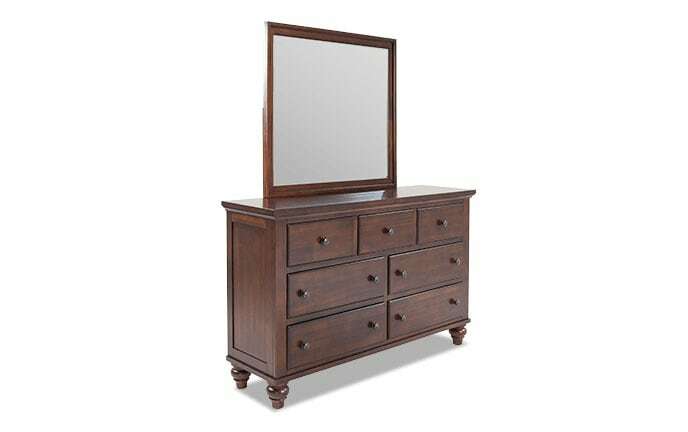 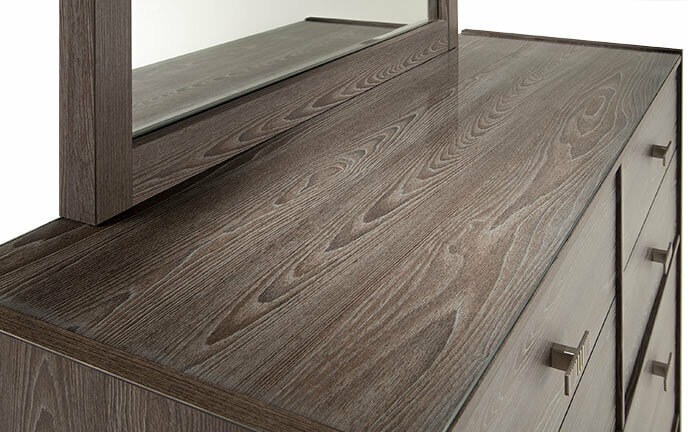 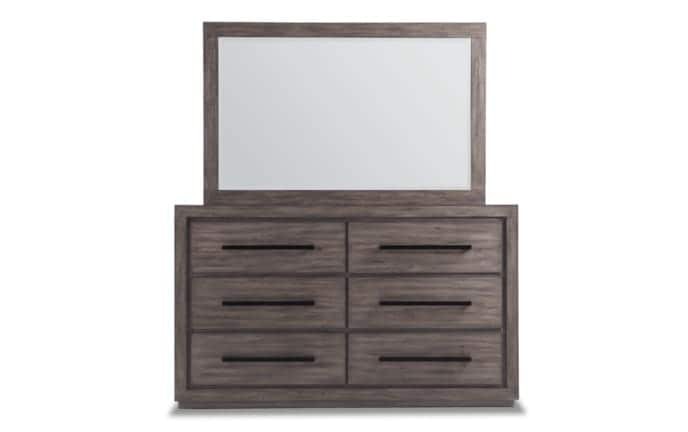 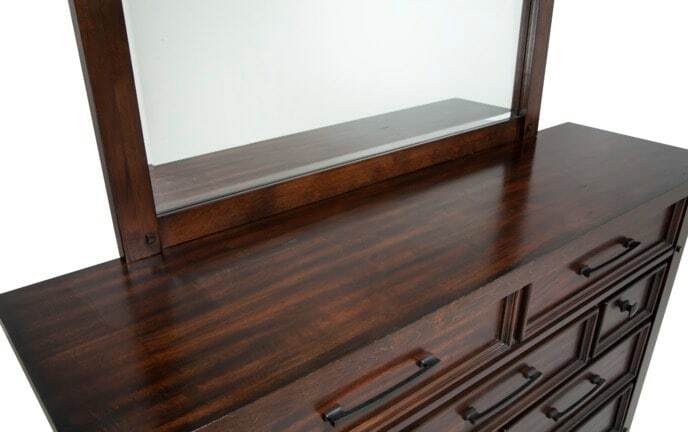 Constructed of pine solids and veneers, this dresser has tons of storage space. 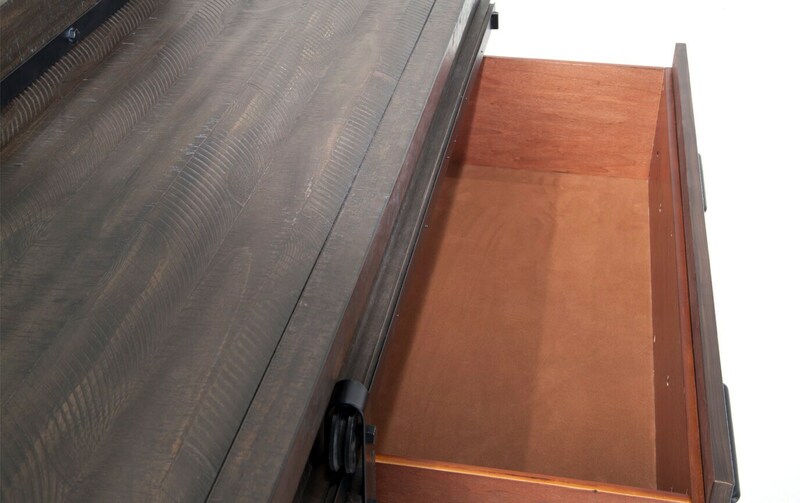 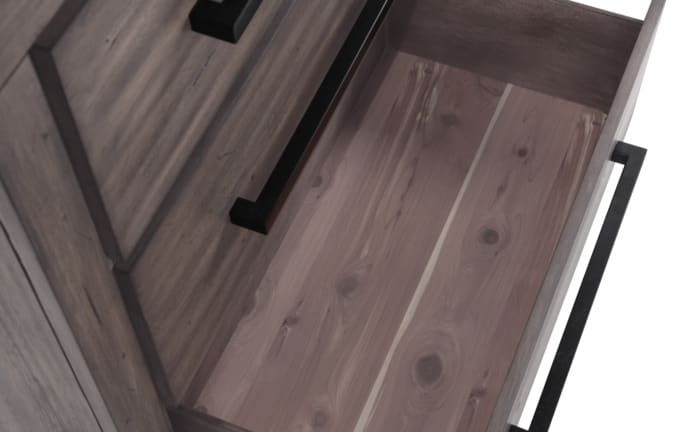 There are three drawers visible at first glance- just move the sliding door and two more are revealed! 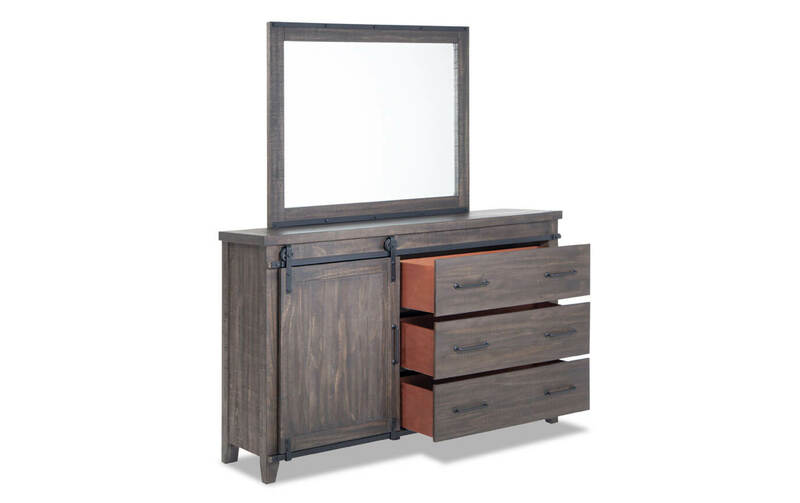 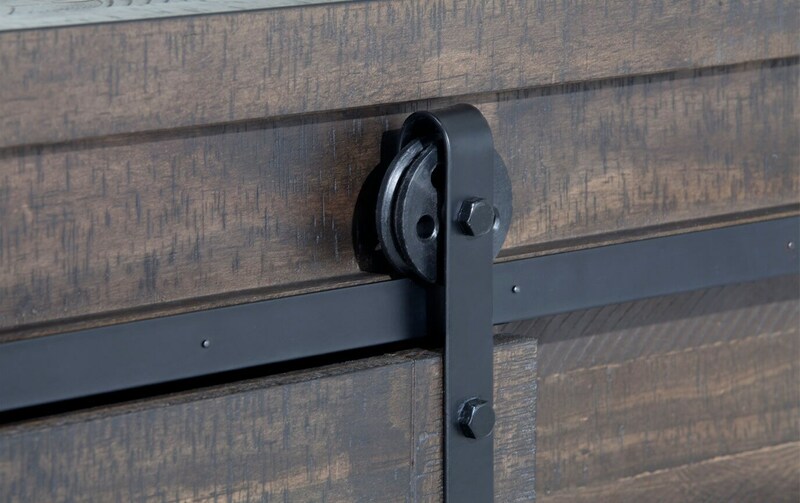 Finally, the stylish hardware and stunning mirror completes the look. 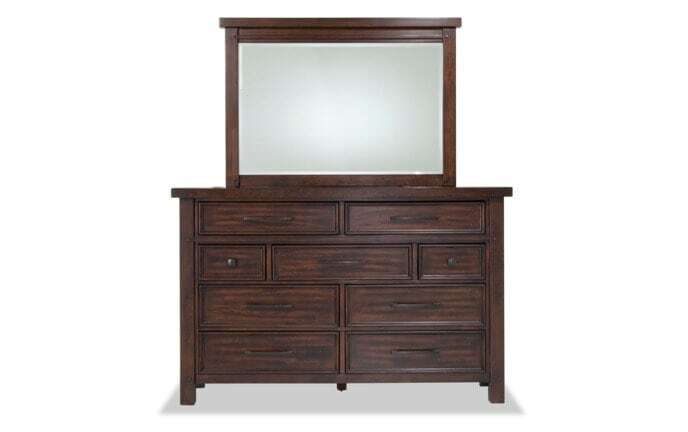 Now you can have the best for less with this charming bedroom piece.